What will Amanda Spielman make of the Wilshaw legacy? John Viner suspects there may be change in the air. When the former education secretary, Nicky Morgan selected Amanda Spielman to be successor to Sir Michael Wilshaw as Her Majesty’s Chief Inspector of Schools (HMCI), the nomination was rejected by the Education Select Committee. The Committee suggested that her lack of any teaching experience and failure to show ‘passion’ were indicators that she could not understand the complexities of the role. However, Morgan stuck by her nominee and (some would say dangerously) dismissed these arguments and overrode the Select Committee, saying that, whatever they thought, Spielman’s appointment would go ahead. It is unusual for the Select Committee to be dismissed by a minister in this way. Why appoint a non-teacher as chief inspector? Especially after a long succession of powerful figures with a background of school leadership, from Woodhead to Wilshaw? Perhaps it was the legacy of this succession, which had established Ofsted as a source of fear (rather than support) to the profession, which Morgan hoped to change. And an HMCI who was not a teacher would not come with a set of preconceptions about the nature of schools and school leadership in the way that her predecessor had. However, the profession remains sceptical and constantly poses the obvious question, how can a non-teacher be chief schools inspector? 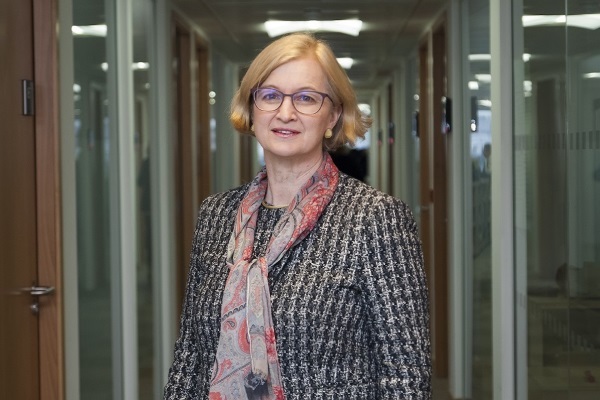 Amanda Spielman, like so many of her political counterparts in the DfE, studied law at university. Having gone to Clare College, Cambridge to study maths, she found her lecturers uninspiring and changed from maths to law. To a young graduate with a fascination for numbers, it was the world of big business that was attractive and, like so many in the field, Spielman entered merchant banking with KMG Thompson McKlintock and later moved to Kleinwort Benson where she specialised in mergers and acquisitions. She spent the early 1990s in business analysis, firstly as a director of Newstead Capital and then of Bridgewater Business Analysis. Then followed a move to the USA where she became principal of Mercer Management Consulting, Boston, before joining Nomura Principal Finance in 1997. Returning to the UK with a young family in 2004, Spielman looked for a change of direction. After considering teaching and deciding that she was too old (at 39), she studied for an MA in comparative education at the Institute of Education. The experience proved to be a watershed. She entered the world of education with a new-found enthusiasm, taking all manner of voluntary openings, sitting on various committees and - using her analytical skills - undertaking such freelance work that came her way. In 2005, she was offered a role in setting up the ARK academy chain. As a founding member of the leadership team, she became research and policy director and an education adviser. And, at this point, she found herself on a road of school improvement that would eventually lead to the big job at Ofsted. The jump from business to education was not as startling at it seems. Spielman is a smart thinker and her analytical skills were very much in demand. In 2011, after six years at ARK, she was appointed to lead the then new Office of Qualifications and Examinations Regulation (Ofqual). A post for which her background made her eminently suitable. Only a year later, Spielman found herself embroiled in the 'GCSE fiasco’ when the regulator took steps to end the constant ramping up of top grades. A strategy supported by Michael Gove and which history may vindicate. After five years at Ofqual, and having made a success as a regulator, Spielman was appointed HMCI. Despite making a successful jump from business to education, and with some big figures having been tipped for the top job, Spielman's appointment was left-field as they come. In many ways, having an HMCI who is untainted by any experience as a teacher may yet prove more beneficial to teachers at the chalk face than at first it seems. Unlike any of her predecessors, she does not bring any preconceived ideas of the way things should be done; something that was to particularly taint the Wilshaw period throughout his reign. Perhaps ‘wind of change’ is too bold, maybe it is but a gentle breeze at the moment. Ofsted and its consequences continues to be an instrument of fear and loathing, despite Spielman's wishes. She says that she wants to ‘celebrate the good and stop the bad before it takes hold’. How far this informs the new inspection framework, scheduled for 2019, we have yet to see. A return to focused thematic inspections may be one of the first signs. Right now there does not appear to be much weakening of Ofsted’s hardline approach. Time will tell, but I’m still optimistic. From preparing for Ofsted inspection, outlining plans for post-inspection improvement or even motivating and inspiring confidence in staff, we have everything you need to demonstrate excellence. A new school year, a reshaped DfE?